Take a 17 day tour to 3 countries and see it all. From Tel Aviv to Cairo, travel from the north of Israel to the south, cross over into Jordan, and then over to Cairo. There is an option to leave from Tel Aviv. This tour can be adjusted to suit your needs. Arrive in Israel and depart from Cairo. From the first day of your arrival our company will take care of all the transportation, tours, and hotels. The evenings will be your free time to wander around, shop, go out for dinner, or get a drink in one of the local pubs. We try to book you in hotels that are close to the beach area and the shopping malls. Upon your arrival at the Ben Gurion airport there will be a driver waiting to take you to a hotel in Tel Aviv. Get a good nights’ rest for we start touring at 07:15 a.m.
07:15 Pick up. After breakfast a driver will pick you up to start the touring day. Drive through the Armageddon plain, and see a view of Megiddo. Ascend to Nazareth, stopping at the Mount of Precipitation. 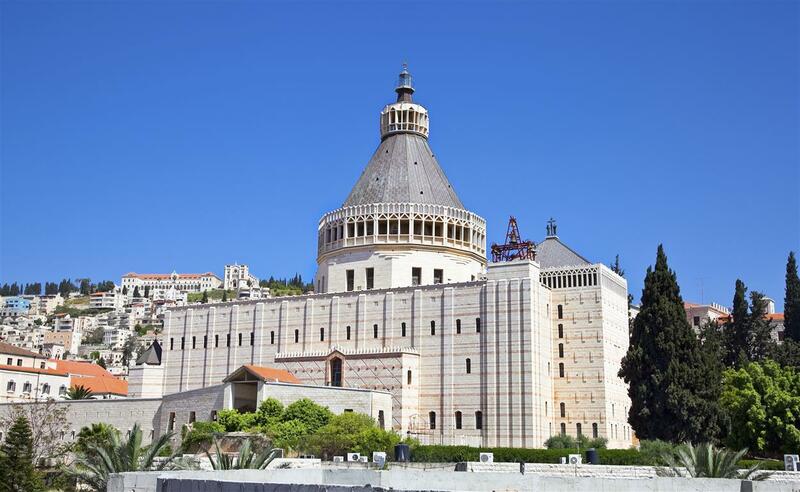 When arriving in Nazareth, tour the Church of Annunciation, and next to it the Church of St. Joseph. Leaving Nazareth, travel to the Sea of Galilee, and pass Cana, where Jesus turned the wine into water. 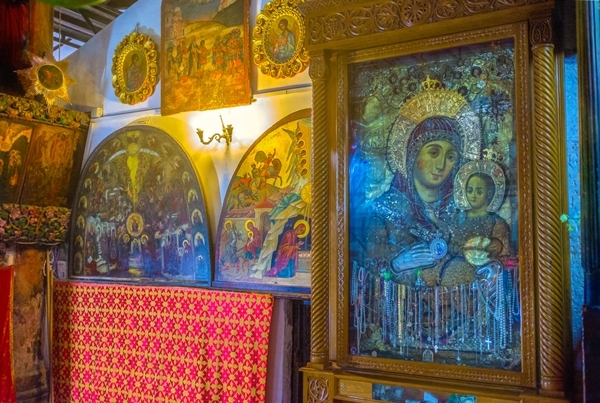 Visit Capernaum, at the bottom of Mount Beatitude, and the Benedictine Church that commemorates the Multiplication of the Loaves and the Fish. At the Galilee, Yardenit, there will be an opportunity to be baptized in the Jordan River waters. Returning, pass Mount Tabor, which is the site of the Transfiguration. 07:15 Pick up. 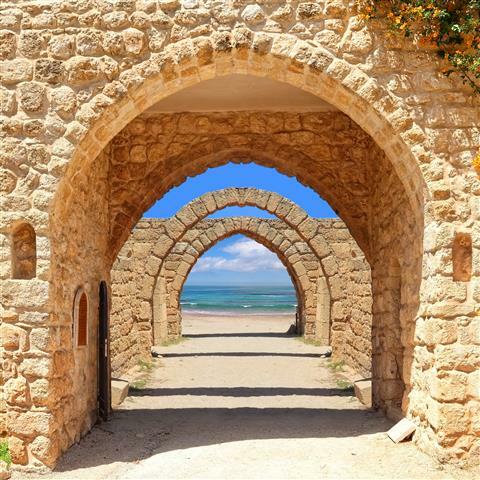 Start the touring day driving along the coast of the Mediterranean, and pass Herziliya and Netanya, to arrive at Caesarea. Tour the beautiful Roman Theater, and the hippodrome beside it. 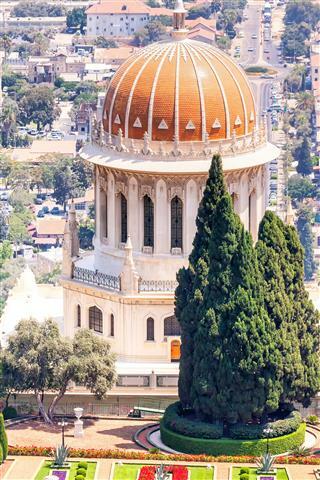 Arrive in Haifa and tour the amazing Baha’i gardens and shrine. Continue driving to Rosh Hanikre and ride a cable car down to the grottoes. The last stop of the day is Acre, which is the largest Crusader city in Israel. Tour the Turkish prison, where the British used to hang the Jews after World War II. 07:15 Pick up. Drive to Jerusalem to tour the Old City and the New. 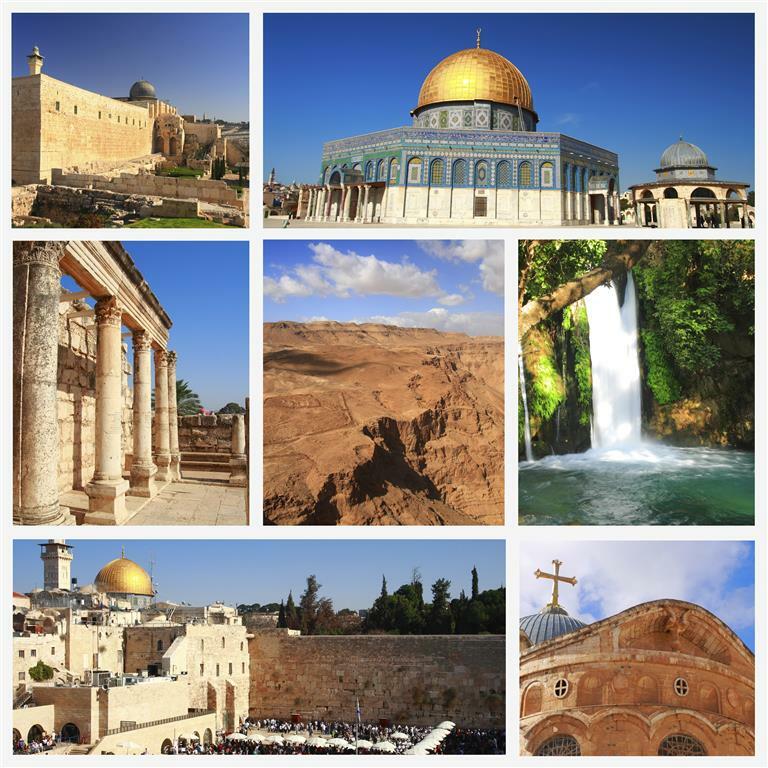 Start with an overview of the Mount of Olives, the Church of All Nations, and the Garden of Gethsemane. Enter the Zion Gate, and walk through the Armenian Quarter to the Byzantine Cardo. Continue on to the Jewish Quarter arriving at the Western Wall. 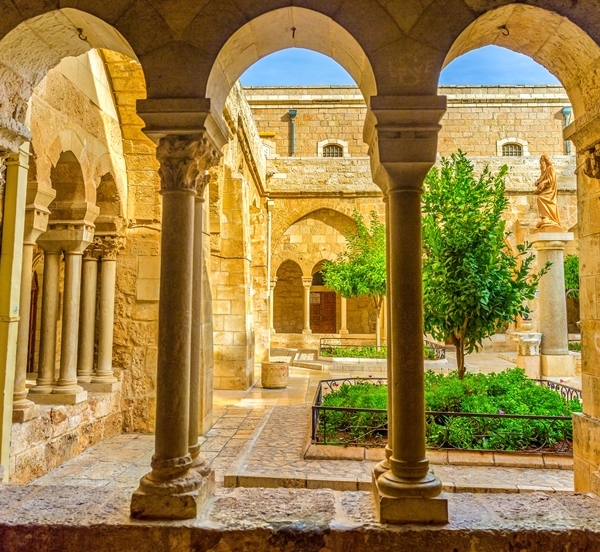 Join the pilgrims that are walking along the Via Dolorosa, following the Stations of the Cross, and finally arriving at the Church of the Holy Sepulchre. Walk through the markets of the Old City and we will continue on to the Yad Vashem Holocaust Museum, which commemorates the destruction of the six million Jews and the righteous people who helped them. 07:15 Pick up. After breakfast start the day driving toward the Dead Sea, and pass the Inn of the Good Samaritan. We will stop at the Sea Level marker for a few minutes, and continue on to Jericho. 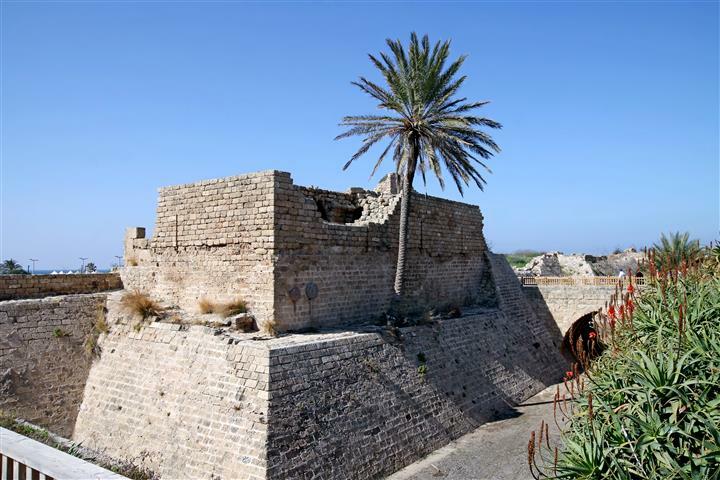 Jericho is the oldest continuously inhabited city in the world. Above Jericho you can see Mount Temptation, where Jesus fasted for forty days and nights. Leaving Jericho, travel on to Bethlehem, Jesus’ birthplace. Walk across Manger Square to arrive at the Church of Nativity. You can see the original mosaic floor from the 4th century. 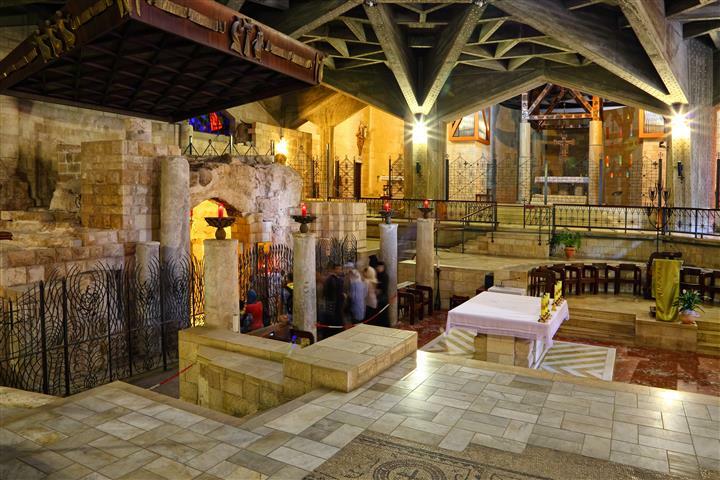 See the place of Jesus’ birth with the star in its place, tour the Manger, and the altar that is dedicated to the 3 Wise Men. Leaving the Church, take a short walk over to the Crusader Church that is dedicated to St. Catherine, inside go down to tour the grotto. When leaving Bethlehem pass the Milk Grotto, and Shepherd’s Fields. 07:15 Pick up. 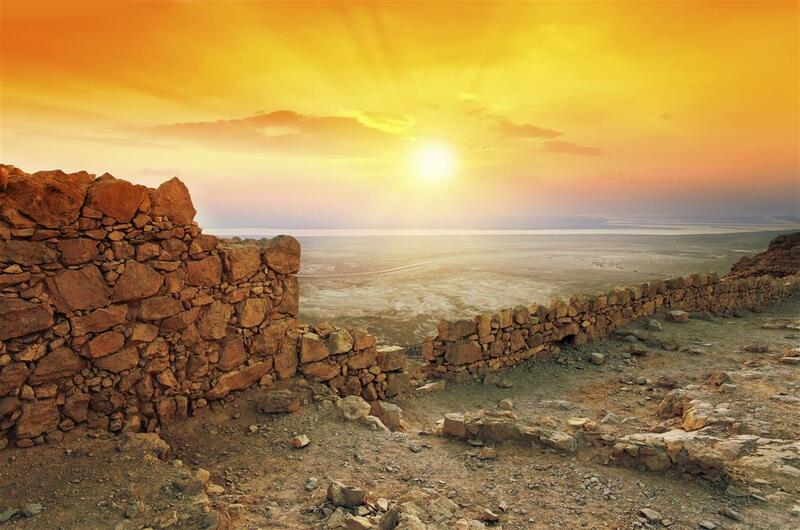 Drive south and travel through the Judean Desert to the Dead Sea. From the Dead Sea we will drive on to Masada. 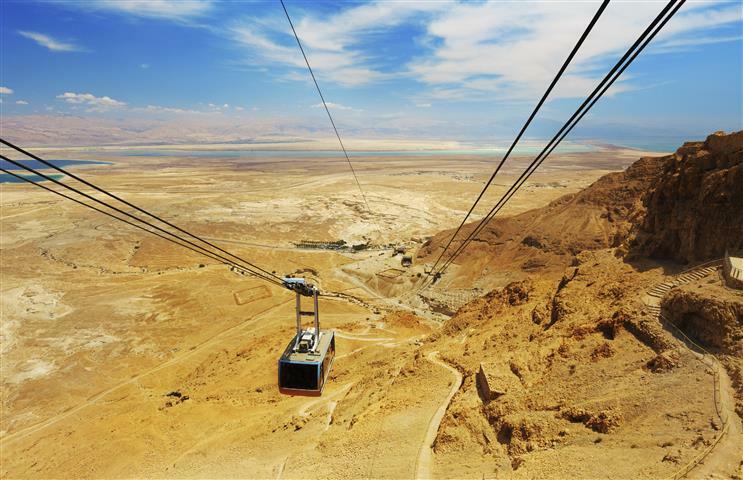 Travel up to Masada by cable car, and you can see the snake path, that was used over 2000 years ago when King Herod built his palaces. When arriving at the top, start touring the palaces, the well preserved bath house, the synagogue, Roman barracks, and much more. When leaving Masada pass Ein Gedi, and the Qumran caves where the Dead Sea Scrolls were found. Continue on to the Dead Sea, for a swim, or float, in the therapeutic waters. You will be picked up from the Dead Sea and continue on to Eilat for overnight. 08:30 Pick up. A driver will be waiting to take you to the Arava border. You will be assisted with border proceedings, and on the Jordanian side a driver will be waiting to take you to Petra. This is a 2 hour drive. In Petra tour the Treasury, which gave Petra its status as one of the Seven Wonders of the World. 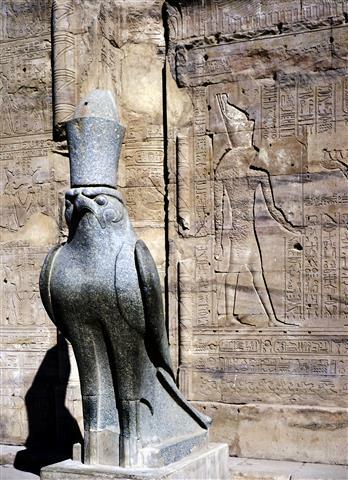 Continue touring the temples, the caves, the tombs, a Roman Theater, and much more. 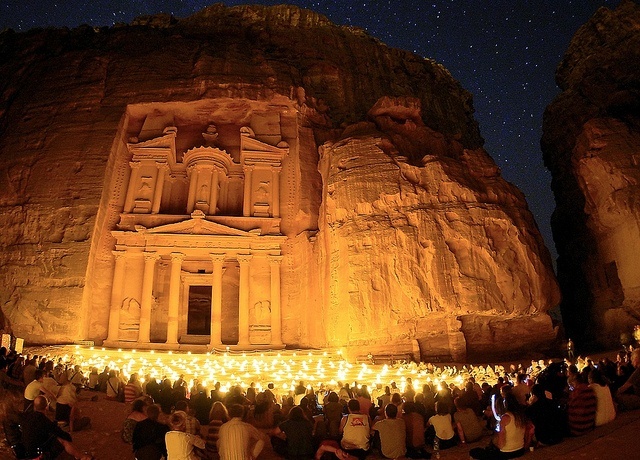 In the evening you can go to see Petra by night. The entrance fee is about $15 (not included). Overnight in Petra. Wake up when you like. 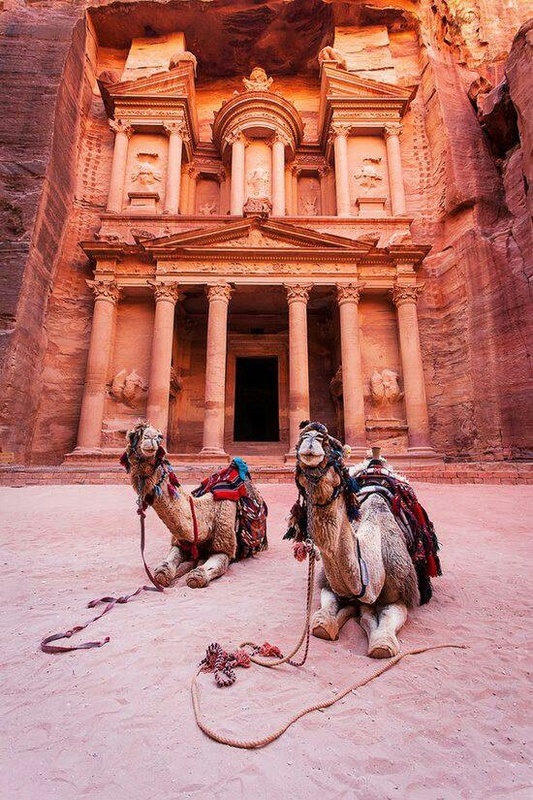 There is a chance to go back into the Petra sight on your own, take a walk in the market, or just relax at your hotel. At about 16:00 a driver will take you back to the border and Eilat. Arrange with the driver, where to meet him about 21:00, for pick up to Cairo. You will have about 2 hours to grab a bite to eat before departing for Cairo. Drive to the Taba border, you will be assisted with the border proceedings. A driver will be waiting for you on the Egyptian side. Drive to Mt. Sinai. Climb the mountain and see the sunrise. Climb the mountain at night and in the early hours of the morning tour the Church, dated back to the 6th Century and never destroyed since then, “The Burning Bush," and “Jethro’s Well." St. Catherine's is one of the oldest working monasteries in the world. You will see the worlds’ oldest library. Around St. Catherine's there is a small town with hotels. 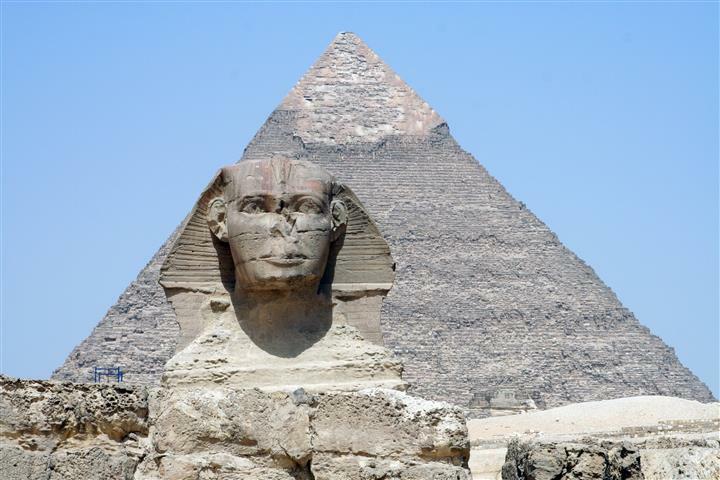 After the tour continue driving to Cairo, and to your hotel for overnight. Leisure day in Cairo, to walk around by yourselves, and relax after an exhausting trip. Option 1: Departure from Tel Aviv with flight from Cairo to Sharm, transfer to Eilat, and flight from Eilat to Tel Aviv $350. Option 2: Extend 1 more night. Departure from Tel Aviv with flight from Cairo to Sharm, overnight in Sharm, transfer to Eilat, and flight from Eilat to Tel Aviv $420. 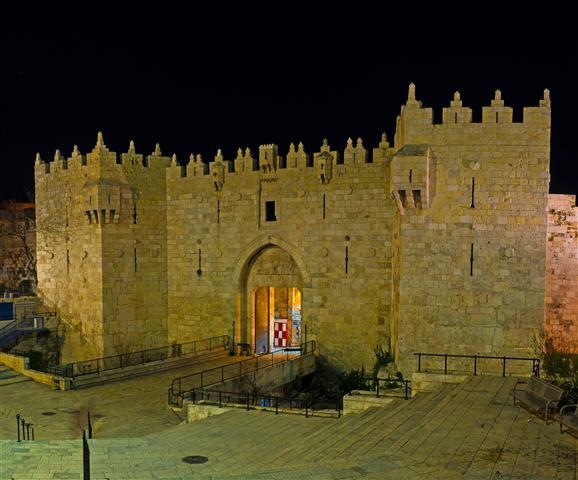 Option 1: Extend more nights in Israel, Jordan, Cairo, or Sharm, $70 per night per person. Option 2: Day 16, tour to Alexandria, see the great library and Montazah Summer Palace. $150 per person. Single supplement $25. Option 4: Upgrade of hotels. 14 Full touring days including guide and transportation. Entrance fees to all of the touring sites. 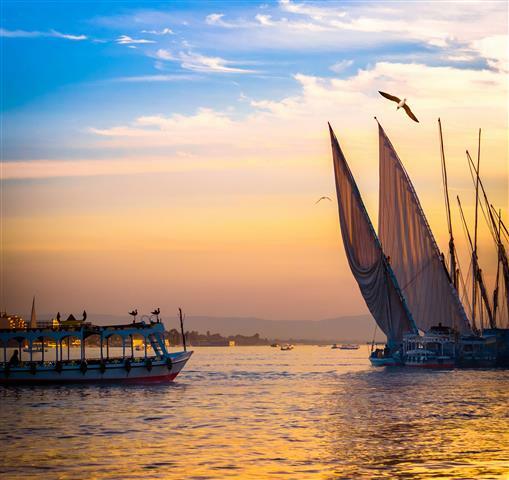 Note: All of the hotels and Nile Cruise are subject to availability, other hotels can be substituted in this case. Visa for Egypt $50 we can make it for you at the border. Visa for Jordan must be made in advance. We can make it for you at the border for $75 per person. Meals not mentioned as included. All extras aboard the Nile Cruise, such as drinks, laundry, phone calls, etc. Single supplement. There will be a $900 single supplement for 1 person traveling alone. This tour can be adjusted to your needs, contact us for further details. This tour can leave on any day. The order of the tour may be adjusted. Dress accordingly. Churches and holy places require covered knees and shoulders. You will not be admitted if not abiding by the dress code. Dinner has not been included and not mentioned. There are fantastic restaurants in all of the cities that you will be staying. You can just go and get a sandwich, order pizza to your room, or go to a fancy restaurant. These are all small group tours, made up of no more that 20 people, the norm being closer to 15.